With a stampede of A-list talent hunting him, including major champions Tiger Woods, Justin Thomas, and Adam Scott, Koepka added to his major cache with a final-round 4-under-par 66 to win the 100th PGA Championship. ST. LOUIS — On a steamy Sunday full of utter madness and ear-splitting roars that shook Bellerive Country Club to its core, Brooks Koepka never blinked. Despite noise all about him, most of it triggered by Woods’ magical recovery powers on the front nine and then his vintage form on the back that produced a final-round 64, Koepka never lost the lead he began the day with. He finished at 16 under to win by two shots over Woods. The massive Floridian wrapped his huge arms around the Wanamaker Trophy, which will join the two silver trophies he captured in the last two playings of the U.S. Open. He joins Woods, Jack Nicklaus, Ben Hogan and Gene Sarazen as the only players to win the U.S. Open and PGA in the same year. 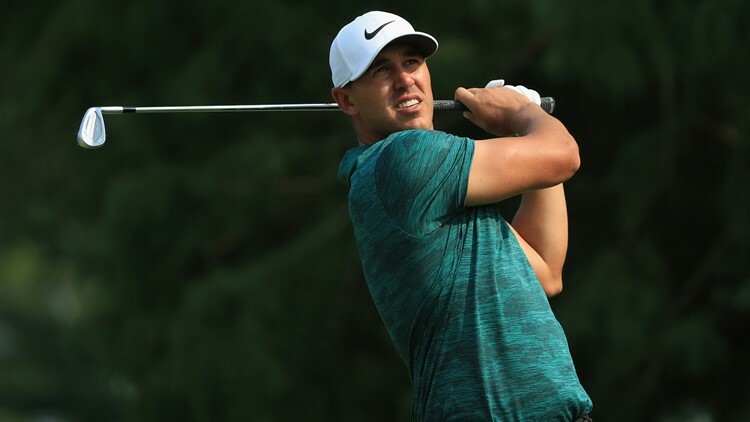 Koepka closed his front nine with three birdies and then put a dagger in the hearts of his pursuers with short birdies on 15 and 16 to win his third major title in his last six starts. He overpowered the course with his driver, wedge and putter and the cool demeanor that handles immense pressure. Woods silenced his doubters with his best performance in a major in years. On a crazy front, he didn’t hit a fairway in regulation but used his scrambling prowess to make four birdies and make the turn one behind Koepka. He pulled within one again on the 15th, finished with a birdie on the 18th and four in all on the back nine but it wasn’t enough.